Millions of people seek ways to relax, promote healing, or connect with their soul. Reiki (pronounced ray-key) is a simple but profound healing system that was originally developed in Japan. Reiki means 'spiritual energy' or 'universal life-force energy.' The Reiki system is universal because it can be used by people of any background or religion. Reiki For Dummies explains how you can harness this energy for yourself. When you're ready to go further, Reiki For Dummies covers: Western and Japanese Reiki techniques; crystals, long distance Reiki, and setting up a successful Reiki practice. 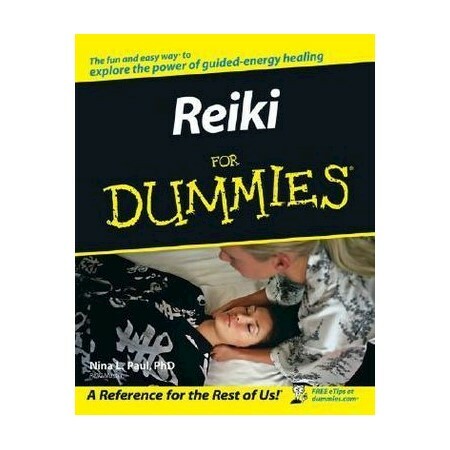 Reiki For Dummies is for you whether you are just finding out about Reiki or you are a seasoned professional who is looking for a clearly written, up-to-date, inclusive, and comprehensive source of Reiki information. Author Information: Nina Paul, PhD (New York, NY), is a Reiki Master who uses Reiki to help herself and others. She has a doctorate in immunology and epidemiology and she believes in a holistic approach to health and wellness . Nina is also the author of the compassionate guide: Living with Hepatitis C For Dummies.